Dr. Ren received his training in dentistry in China, in clinical and translational dental research in Sweden and in United States. He is currently a professor of dentistry at the University of Rochester Eastman Institute for Oral Health, Rochester, New York, USA. Dr. Ren is a clinician, educator and researcher with broad interests in general dental practices, resident training and clinical and translational research focusing on improving the treatments of oral diseases. His areas of research interests including carious and non-carious dental diseases, dental therapeutics, dental materials, dental implants, health service research, outcome research and clinical trials. Dr. Borke is a Full Professor in the Biomedical Sciences of the College of Dental Medicine at Western University of Health Sciences. Dr. Borke has over 25 years of experience in teaching and research, and was the past recipient of both the Distinguished Service and Distinguished Teaching Awards from the School of Graduate Studies while in Georgia. Dr. Borke's current research interests concern detection and prevention of bisphosphonate related osteonecrosis of the jaw as well as modeling of bone during tooth movement, along cranial sutures, and around dental implants, in response to mechanical loading. Alumni of Dr. Borke's laboratory have matriculated from 19 different countries. 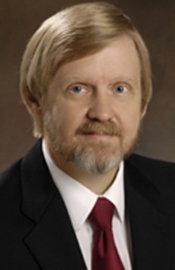 Dr. David R. Drake currentlys is Professor, Department of Endodontics and Dows Institute for Dental Research, University of Iowa College of Dentistry, Iowa City, Iowa City, Iowa. He received is Ph.D from University of Tennessee in Microbiology. He received Excellence in Research from Science Alliance, University of Tennessee. He peer reviewd many scientific journals. He has worked on many NIH grants, currently he working on 'Streptococcus mutans Strain Susceptibility Differences to Host Defense Peptides' His current research intersts focused on transmission of specific genotypes of Streptococcus mutans (SM) one of the most researched bacteria associated with dental caries development, from mother to child in different populations. My recently completed R01 study looked at acquisition of SM in American Indian children from birth to three years of age. We conducted this study in partnership with the Lakota Sioux in Pine Ridge, South Dakota. We had a field team consisting of dental hygienists and research assistants on site who collected plaque samples from mothers, primary caregivers, and the children. In addition, a comprehensive approach to obtain dietary and behavioral data, as well as oral health (caries assessment) was done. By the time children reached 36 months of age, the caries prevalence in our cohort reached 82% - a devastating level. We found that mothers were low on Vitamin D and calcium. We also discovered 17 distinct genotypes of SM in this population. Analysis of associations across these variables, along with behavioral and education levels is ongoing. We are now positioned to study this cohort from age 5 of the children to age 9. We propose a more comprehensive behavioral analysis of the families and a comprehensive analysis of the oral microflora in these children by next generation sequencing approaches. We believe that carefully studying the development of the oral microflora in these children in combination with behavioral, dietary, and environmental variables will provide invaluable information to address how these oral health disparities develop and invaluable targets for prevention and treatment. Dr. Liliane Lins graduated in Dentistry, Federal University of Bahia (1993), Master in Dentistry with concentration in Stomatology, Federal University of Bahia (2001) and PhD in Human Pathology, Oswaldo Cruz Foundation Bahia/School of Medicine Federal University of Bahia (2004). Stomatologist of the Liver Transplantation Service at the Federal University of Bahia, University Hospital(HUPES) and in the Program of Oral Health of Pregnant Women, Elderly and Special Needs Patients of Faculty of Dentistry, Federal University of Bahia. Post doctor degree in Medicine and Human Health (EBMSP/FAPESB). Full Professor at Bahiana School of Medicine and Public Health and Associate Professor at School of Medicine, Federal University of Bahia. Clinical experience in Stomatology and Maxillofacial Surgery, acting in the following subjects: Stomatology and Occupational Health, Dentistry and oral health care in oncology and infectious diseases. 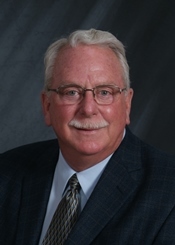 Dr. Caton is Professor of Dentistry, Program Director of Periodontics, and Chair of the Department of Periodontics, Eastman Institute for Oral Health, University of Rochester. He is a former Chairman of the American Board of Periodontology and a Past President of the American Academy of Periodontology. He received a D.D.S. from the University of California Dental School, San Francisco, an M.S. from the University of Rochester and a Periodontology Specialty Certificate from Eastman Dental Center. He has published over one hundred twenty scientific articles and book chapters. He has received the Gold Medal Award of the American Academy of Periodontology, the William J. Gies Award for contributions to the periodontal literature, and the Norton M. Ross Award for Excellence in Clinical Research. Dr. Famili is full professor in the Department of Periodontics and Preventive Dentistry and chair of the department since 2005, with a secondary appointment as full professor in the University of Pittsburgh's Clinical and Translational Science Institute. She graduated from the periodontics residency program and received her master's degree in dental science from the University of Pittsburgh, followed by the DMD, and then earned her MPH (2000) and the PhD in the field of epidemiology in 2005. She has been a member of the periodontics faculty since 1986 and has served the University and the profession with distinction, becoming a Diplomate in both periodontics and implantology, and a fellow in the International Congress of Oral Implantologists, the American College of Dentists, and the International College of Dentists, among many others.She is a member of both the American Academy for Dental Research and the International Academy for Dental Research and has presented her research nationally and internationally . She is very active in academic dentistry, participating in the American Dental Education Association's Women's Affairs and Minority Affairs Committees, often presenting symposium topics regarding implantology, mentoring, or the first professional education of young dentists. Dr. Famili practices periodontics exclusively ian the University of Pittsburgh faculty practice. Dr. Mariam Margvelashvili received her dental degree from the Faculty of Medicine, Tbilisi State University, Georgia 2007. She earned her Master of Science in Dental Materials from the University of Siena, Italy in March 2009. She then defended her PhD in Biotechnology at the Department of Fixed Prosthodontics & Dental Materials of Siena, Tuscan School of Dental Medicine, University of Florence and Siena, Italy in March 2013. Between the periods of 2009-2011 she was a Post-Doctoral Associate at Tufts University, School of Dental Medicine (Boston, USA) implementing research on Stem Cells. She became a Full Professor and the Chair of the Department of Dental Medicine, University of Georgia (Tbilisi, Georgia) in 2013. Currently she is carrying out fellowship in implant dentistry as an ITI Scholar at the Department of Prosthodontics and Operative Dentistry, Tufts University School of Dental Medicine. 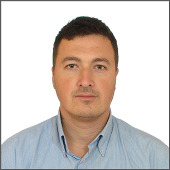 Dr. Margvelashvili has published numerous scientific articles in Plos One, Stem Cell Research and Therapy, In Vitro Cellular and Developmental Biology - Animal, Journal of Dentistry, Journal of Adhesive Dentistry, Clinical Oral Investigations, Journal of Clinical Pediatric Dentistry and Oral Health and Dental Management. Her research Interest focuses on dental materials, dental applications of human stem cells and cariology. Dr. Camila Mello dos Santos is a Professor at Department of Preventive and Social Dentistry, Faculty of Dentistry, Federal University of Rio Grande do Sul, Brazil. She completed her DDS degree at the Federal University of Rio Grande do Sul in 2006. During her undergraduate dental studies she was awarded a 2-year research scholarship. She received her PhD degree in Oral Public Health from Faculty of Dentistry, Federal University of Rio Grande do Sul in 2013. She published her works in national and international journals. Her research interests include epidemiology, public health, geriatrics and quality of life. She received in 2014 the Outstanding Poster Abstract Award of the International Society for Quality of Life Research. Born in Caserta (Italy) on 22 April 1967, achieved Medicine Degree with highest honors, in July 1992. Authorized to practice medicine with honors, it was enrolled in 1992, as Fellow, at the School of Specialization in Otorhinolaryngology and Cervico-Facial Surgery - University of Naples Federico II. Specialist in Otorhinolaryngology and Cervico-Facial Surgery, October 1997, with highest honors. In 1997 is the winner of Scholarship for PhD at the University of Catania. From 03/07/2000 to 30/09/2005 has worked at the 'University of Naples Federico II, as a Consultant for High Skills in ENT and Cervico-Facial Surgery. In October 2005 he won the competition at Assistant Professor in Otolaryngology - banned by the Second University of Naples. Specialist in Audiology with highest honors in February 2007. Associate Professor of Otolaryngology from November 1, 2014 is assigned to the Department of Anesthesiological and Surgical Science and Emergency of the Second University of Naples. Research Interests includes Chronic Rhinosinusitis, Allergic Rhinitis, Endoscopic Sinus Surgery. Dr. Raul Gonzalez-Garcia is currently serving as professor at Department of Oral and Maxillofacial-Head and Neck Surgery in University Hospital Infanta Cristina, Spain and He acts as Honorary Professor of the University of Badajoz School of Medicine. He has authored more than 100 published papers and worked for more than 130 presentations to scientific congress. He has vast experience as reviewer and editor in dental care. Pia Lopez-Jornet MD,DDS, PhD, graduated as a Medicine 1982 School of Medicine at the University of Valencia, 1986 Dentistry. In 1992, she defended his PhD thesis Univ. of Murcia Spain. Employed at the Department of Oral Medicine, School of Dental Medicine, and Univ. of Murcia Spain since 1989. 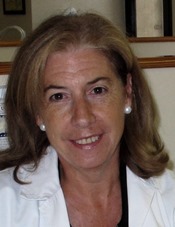 She is Professor, Consultant and Oral Medicine, School of Medicine and Dentistry, Murcia University. She was Director of the Stomatology Department (Murcia University.). Co-authored 140 papers indexed JCR. His research focuses on oral medicine, special dental care, auto-immune diseases, Pia Lopez has (co)authored more than 170 peer-reviewed scientific publications and many books. Professor Vjekoslav Jerolimov was born in 1945 in Osijek, Croatia.). He obtained his M.Sc. degree in Biology in 1974 from the Faculty of Science University of Zagreb, and his M.Sc. 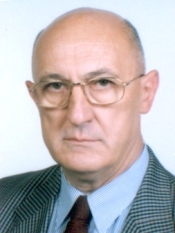 degree in Dentistry in 1978 as well as his Ph.D. degree in 1983 from the School of Dental Medicine University of Zagreb.His scientific and professional interests include removable prosthodontics, temporomandibular disorders, denture stomatitis, dental materials (denture polymers) and sports dentistry. 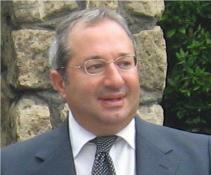 Professor Jerolimov has actively participated in more than 100 scientific meetings. He has published more than 360 papers. He is a co-author of 12 and the editor of 5 textbooks.He has been an honorary member of the Dental Society of Slovenian Medical Association since 1999, an honorary member of the European Dental Student's Association since 2008, and an honorary member of the Croatian Medical Association since 2013. Professor Jerolimov was a recipient of two highly ranked awards given by the President of the Republic of Croatia for health & social merits in 1996, and for science merits in 1998. In 1998, he received the award in Recognition for Excellence in Scholarship in Dental Material's from the Academy of Dental Materials, USA, and in 2012 the award for Science Merits from City of Zagreb, etc. 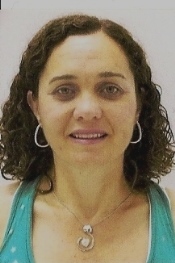 Yolanda Martinez Beneyto is Professor at Department of Preventive and Community Dentistry, Faculty of Medecine and Dentistry at University of Murcia, Spain since 2001. 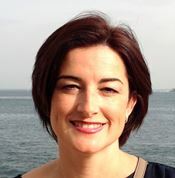 She completed her DDS degree at Murcia University in 1999 and PhD (2003) in Dental Radiology, University of Murcia. Specialist in Oral Public Health (2005), University of Sevilla, Spain. She has co-autored many national and international peer-reviewed scientific publications and 8 books. Co-Director of 10 PhD ( UMU). Her research incluide dental radiology, public health, quality of life, dental remineralization. Member of the Oral Health Public Spanish Society, Orthodontic Spanish Society, International Association of Paediatric Society and European Academy of Dento Maxillofacial Radiology. Dr Mirjana Djurickovic an assistant professor at the Faculty of Medicine in Podgorica and specialist in preventive and pediatric dentistry. Currently a professor at the Department of Preventive and Pediatric Dentistry, Department of Restorative dentistry and endodontics and dental emergency Medical Faculty in Podgorica , University of Montenegro. She has published several research papers in scientific journals, which were also presented at international and national conferences and meetings. Her knowledge complements attendance and active participation as a speaker at continuing education courses. She is an active member of the Balcan Stomatological Society (BaSS), European Association for Dental Public Health ( EADPH ) and the Dental Association of Montenegro. Research interests of Dr Mirjana Djurickovic include the epidemiology of oral health of all age groups, etiology, prevention and treatment of dental caries and periodontal disease, MIH, the minimum dental restorations, trauma, endodontics and lastly patients with special needs. Wang Xiao Min received MD from Harbin Medical University, China on 1987, Master Degree on 1990 from same university and Ph. Degree from Beijing Medical University School of Stomatology on 1990. 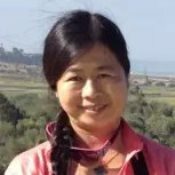 Dr. Wang Xiao Min work for Attending Physician, First Affiliated Hospital of Harbin Medical University on 1993-1999 as attending physician and Beijing Medical University School as Deputy Director of Physician from 2000- current. 1999-2000 Attending Physician, Beijing Medical University School. He received research reward from National Science Foundation of China. He his deputy Editor, Bone Loose Journal. Dr. Mohamed Abdullah Jaber was the professor and head of the Surgical Sciences Department at the Dental College of Ajman University of Science and Technology. He was also the Director of Quality Assurance and Institutional effectiveness Unit of Ajman University of Science and Technology, Head of Central Training Committee, Head of Ajman University's Research Council. Dr. Jaber has many publications in peer-reviewed journals. And act as peer reviewers for many journals which includes Journal of Cancer Detection and Prevention, Journal of Applied Oral Science, Journal of Investigative Pathology, Ibnosina Journal of Medical Basic Science, Cancer Epidemiology, Indian Journal of Dental Research, Oral Oncology, Medical Journal of Case Report, International Journal of Oral Sciences. His research interests include Oral Cancer, Oral epithelial dysplasia, Oral pre-cancer, facial trauma, Oral manifestations of systemic diseases, Minor oral surgery, Maxillofacial Surgery, Facial pain, Local Anasthesia, TMD, Dental Sedation and dental education. Emad T Daif is currently a Professor of Oral & Maxillofacial Surgery, Faculty of Oral & Dental Medicine, Cairo University and a Chairman of Oral & Maxillofacial Surgery Department, Alharm hospital, Ministry of Health. Professor Emad earned his Dental degree (B.D.S) from Faculty of Oral Dental Medicine, Cairo University, Master's degree (M.Sc.) in Oral & Maxillofacial Surgery from the same University and a Doctor's degree in Oral & Maxillofacial Surgery from Bucharest University. He is a member of the scientific Board of Egyptian Fellowship of Oral & Jaws Surgery and Arab Board of Oral & Maxillofacial Surgery. 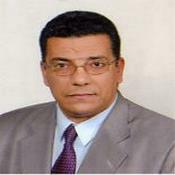 He is also, a general Secretary of promotion committee for Oral & Maxillofacial Surgery in Egypt. Professor Emad has several publications in well known national & international Journals and has maintained a private practice over 27 years. Research Interests include the whole field of Oral & Maxillofacial Surgery. Chun-Pin Lin received his PhD degree in Oral Biology from School of Dentistry, University of Minnesota. 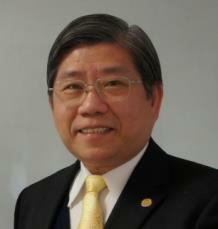 Currently he is a Dean and Professor of School of Dentistry at National Taiwan University. He published his works in more than 150 national and international journals. Present he serving as Editor-in-chief for Journal of Dental Sciences, Journal of Endodontics, ISRN Dentistry, World Journal of Stomatology and counselor for the International Association of Dental Research. His research interest includes Endodontics, Hard Tissue and Biomineralization Research, Oral Biomaterials and Nanotechnology. Prof/Dr. 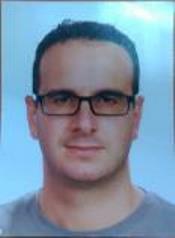 Cristina Areias has received his PhD in Porto University during the period of 2008-2011. Currently, she is working as Auxiliary Professor of Odontopediatrics in Porto University. 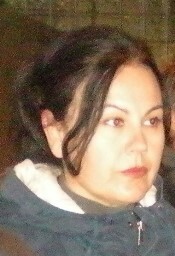 She is serving as an editorial member of several reputed journals like Medical Express. She has authored 23 scientific articles in national and international journals and 4 book chapters, 14 conferences and free communication and 28 posters at national and international congresses. 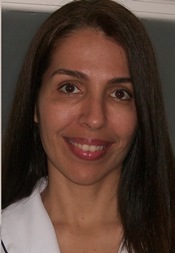 She is a member of Portuguese society of pediatric dentistry. Dr. Jae Hyun Park is an Associate Professor and Chair of the Postgraduate Orthodontic Program at the Arizona School of Dentistry & Oral Health. 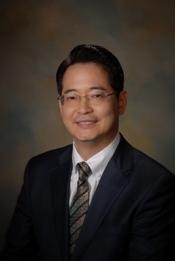 Dr. Park also serves as an editorial board member of several peer-reviewed orthodontic and dental journals. He was the chief editor of a recently published book entitled, 'Computed Tomography: New Research.' He also recently co-authored a book, 'Molar Protraction: Orthodontic Substitution of Missing Posterior Teeth.' While working as a full-time faculty member since 2008, he has published more than 100 scientific and clinical articles. He also lectures nationally and internationally. Dr. Park is currently PCSO Editor-in-Chief. Dr. Charles Moore received a B.S. from Union College, M.D. from Harvard Medical School, completed residency training in Otolaryngology and fellowship training in Craniomaxillofacial - Cranial Base, Facial Plastic and Reconstructive Surgery at the University of Michigan. Dr. Moore is the Chief of Service in the Department of Otolaryngology at Grady Health System and a faculty member at Emory University. 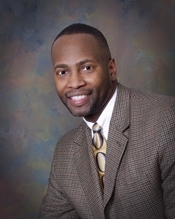 Dr. Moore is the President and Founder of Health Education, Assessment and Leadership (HEAL), Inc a federally qualified health care center in Atlanta, GA. He is the recipient of the American Medical Association Foundation Pride in Profession, Excellence in Medicine Award and the 2011 Gold Foundation Award for Humanism in Medicine. Research Interests include Dr. Charles Moore's research focus has been in the investigation of factors involved in healthcare disparity with a particular focus on head and neck cancer incidence in medically underserved communities. He is also actively involved in research of craniomaxillofacial trauma and anterior cranial base tumor pathology. 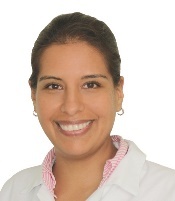 Farith Gonzalez Martinez is a Profesor Associate College of Dentistry, Universidad de Cartagena, Colombia. His research interests includes healthy lifestyles, Occupational Health, Health and Society, Systemic Disorders and Oral Health. Graduated at School of Dentistry of Ribeirao Preto, University of Sao Paulo (1987), where also took dental residence in Endodontics (1988 and 1989), has two Specialist titles: Endodontics and Prosthodontics. 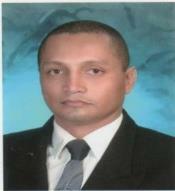 Has Masters and Doctorate in Dentistry, both in Oral Rehabilitation Program by FORP/USP. He is currently Associate Professor 3 at University of Sao Paulo, Chairman of Culture and University Extension (2008/2016) and Coordinator of the Board of Cultural Action and University Extension at USP. Published 81 full papers, 2 book chapters, 81 articles in newspapers and magazines. 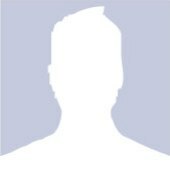 Project Coordinator, he holds 185 Courses and Lectures. Is Ad-Hoc Advisory from Grant Government Agencies and 33 national and international journals. Member of the Editorial Board of 14 journals, received 8 awards for presentations at conferences, worked as a clinician in private practice for 14 years. Full Advisor's (MSc and PhD) at Program and Area of Oral Rehabilitation FORP/USP and member of Cochrane Collaboration. 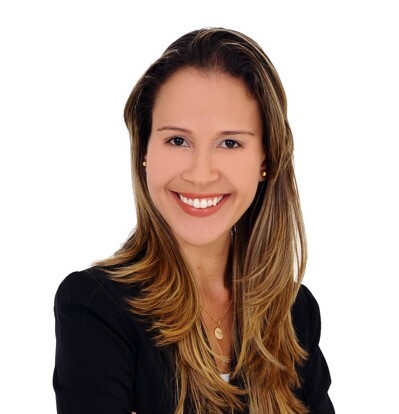 Dr. Johelle Passos-Soares is associate professor at Department of Pediatric and Social Dentistry, Faculty of Dentistry, Federal University of Bahia in Brazil. Her academic background includes a dental degree from the State University of Feira de Santana, Bahia, Brazil. Dr. Passos-Soares received her PhD degree in Epidemiology from Public Health Institute, Federal University of Bahia in 2011. Her scientific interests focus on periodontal medicine, epidemiology of oral diseases and public health. She published her works in national and international journals. In addition to research, Dr. Passos-Soares teaches epidemiology and quantitative methods to postgraduate students at State University of Feira de Santana, Brazil. 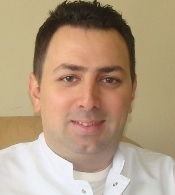 Dr. Onur Geckili PhD, DDS is an Associate professor of prosthodontics, Istanbul University. He is a member of Academy of Prosthodontics and Gnathology Society, Turkish Society of Oral Implantology, IADR, and European Academy of Osseointegration. He is experienced in implantology and prosthodontics, has taught for more than 10 years, is a proficient lecturer, and has published more than 50 papers in peer-reviewed professional journals. He is a member of the international editorial board of IBIMA publishing group, Hindawi publications and Edorium Journal of Dentistry. Assoc. 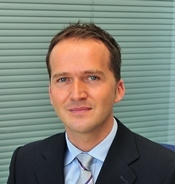 Prof. Dr. Aydin Gulses was born in Izmir, Turkey in the year of 1977. 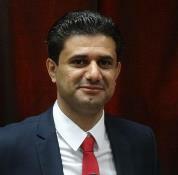 He graduated the faculty of dentistry at Ege University in 2001. He had his Ph.D. DDs title in 2011 in the department of Oral & Maxillary Surgery at Gulhane Military Medical Academy. He has been the associate professor since 2014. 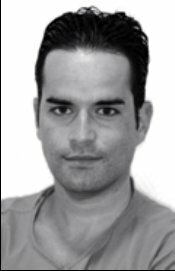 He has more than 80 publications in the national and international scientific journals as well as more than 100 presentations in the national and international congresses.His research interests are neurosensory alterations of the maxillofacial region, tmj dysfunctions, oral implantology and pre-prosthetic surgery. Dr. Seiichi Yamano is Assistant Professor of Prosthodontics at New York University College of Dentistry. Dr. Yamano first earned his dental degree from Nihon University in and then a PhD in Immunology/Microbiology from Tokyo Medical University in Japan. Then, he came to the US as a Research Fellow at the National Institute of Dental and Craniofacial Research/National Institutes of Health. Also, he received his DMD from the University of Pennsylvania, and a Prosthodontics certificate and MMSc in Oral Biology from Harvard University. Currently, Dr. Yamano's lab investigates 3 major areas: (1) utilization of efficient non-viral vectors for gene therapy, (2) growth factor protein delivery using collagen membranes for bone regeneration, and (3) molecular analysis of osseointegration for novel implant surfaces. Dr. Shaomian Yao is an Assistant Professor in the Department of Comparative Biomedical Sciences at Louisiana State University. He received his PhD specializing in genetics and biotechnology from Louisiana State University (LSU) in 2001. He had post-doctoral training in cellular and molecular biology to study osteoclastogenesis, osteogenesis and their role in tooth eruption. 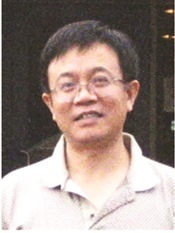 Currently, Dr. Yao is focused his research in the following areas: (a) Molecular regulation of tooth eruption;(b) Development of therapeutic protocol for treatment of tooth eruption disorders;(c) Isolation and differentiation of dental tissue-derived stem cells for tissue regeneration, and (d) Dental implant research. 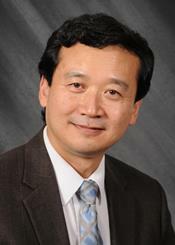 Dr. Yao's research is supported by NIH, State of Louisiana, LSU and private sources. He has published more than 40 scientific articles. He serves as a reviewer for 14 scientific journals. Currently an Assistant Professor, School of Nursing, University of Hawaii at Manoa in Honolulu, Hawaii. Twenty-five years of experience as a certified pediatric nurse practitioner including twelve years in nursing education. 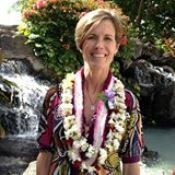 Recipient of Achievement Rewards for College Scientists (ARCS) Scholarship, Honolulu Chapter and selected as Pediatric Asthma Trainer by National Association of Pediatric Nurse Associates and Practitioners. Invited presenter and speaker on the topic of improving oral health in the primary care practice and the role of nurses in changing parent's oral health beliefs and behaviors. Editorial Board Member, Journal of Dental Problems and Solutions. Author of three publications on the topic of oral health promotion in pediatric practice. One publication on the process of developing survey questions. Damiano Pasqualini received DDS degree in 1995 University of Turin, Italy. Assistant Professor in Endodontics, Cariology and Preventive Dentistry, University of Turin Dental School. Private practice limited to Endodontics in Turin, Italy. Co-Director of the Post-graduate Master Course in Clinical and Surgical Microendodontics, University of Turin Dental School, directed by Prof. Elio Berutti. Active Member of the Board of the Italian Endodontic Society. International member of the American Association of Endodontists. Author of manuscripts published on impacted international journals. Co-Author of books focused on Endodontics, Cariology and Preventive Dentistry. Lecturers in several national and international congresses. Dr. Ahmed Ballo is a Clinical Assistant Professor at Department of Oral Health Sciences, Faculty of Dentistry, University of British Columbia in Canada. 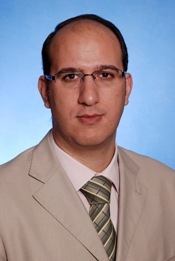 Dr. Ballo received his dental degree from University of Benghazi in Libya, and PhD degree from the Department of Prosthetic Dentistry, University of Turkuin Finland, and completed his Postdoctoral training at University of Gothenburg in Sweden.His excellence has been recognized with multiple prestigious awards and honours including: UBC Faculty of Dentistry Teaching Award for 2013 and 2014, the European Biomaterials and Tissue Engineering Doctoral Award (EDA), and the fellowship of International Team for Implantology (ITI. His research interests include oral rehabilitation, and clinical application of minimally invasive dentistry for medically compromised and elderly patients. 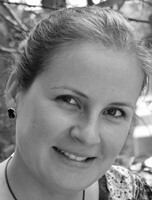 Dr. Maria Eugenia Guerrero is working as assistant professor at San Martin de Porres University in Lima, Peru. In 2004 she won the Belgian Technical Cooperation grant and travelled to Belgium to perform a Master in Medical Sciences. She was an ITI Scholar at the University of Geneva, Switzerland. She further received the Interfaculty Council for Development Co-operation (IRO, KU Leuven) grant to continue her PhD studies at the Oral Imaging Center and the OMFS IMPATH research group (Oral & Maxillofacial Surgery Department Imaging and Pathology) at the KU Leuven. Her research interests include Oral Imaging, Periodontics and Dental Implants. Dr. Essam Ahmed Al-Moraissi is an assistant professor at the Faculty of Dentistry, Department of Oral and Maxillofacial Surgery, University of Thamar, Yemen. 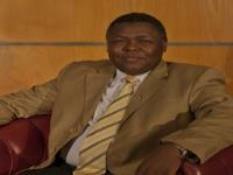 He completed his DDS degree at the Faculty of Dentistry, Thamar University in 2003. He received his MSc (2010) and PhD degree (2015) in Oral and Maxillofacial Surgery form the Faculty of Oral and Dental Medicine, Cairo University, Egypt. He has authored more than 15 scientific articles in peer-reviewed international journals including International Journal of Oral and maxillofacial Surgery, Journal of Oral and Maxillofacial Surgery and British Journal of Oral and Maxillofacial Surgery. He has published 8 scientific articles, his Co-Author was Dr. Edward Ellis, Professor and Chair, Department of Oral and Maxillofacial Surgery, University of Texas Health Science Center, San Antonio, TX. 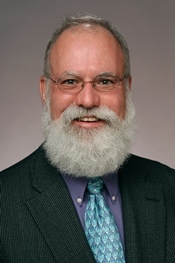 He serves as an editorial board member and reviewer of several scientific journals namely: Austin Journal of Dentistry, Global Journal of Medical and Clinical Case Reports, Hindawi Publishing, Annals of Maxillofacial Surgery, World Medical Student Journal, Journal of Surgery and Surgical Research, Journal of Oral and Craniofacial Science and International Journal of Oral and Dental Health. His research interests are oral and maxillofacial surgery, orthognathic surgery, temporomandibular joint disorders, oral surgery, Craniomaxillofacial trauma, and evidence based dentistry, a systematic review and meta-analysis. Dr. Abdul Haleem did Bachelor of Dental Surgery (BDS) from Bahauddin Zakariya University, Multan Pakistan in 1986, one-year internship in Nishtar Hospital Multan Pakistan, MSc in Dental Public Health from London University in 1993 and PhD in Community Dentistry from University of the Punjab, Pakistan in 2014. I have been teaching community dentistry and biostatistics to the undergraduate and postgraduate dental students in Pakistan and in Saudi Arabia for the last 20 years and have supervised a number of Students and Interns research projects ending up with publications in some scientific journals. I have been reviewing scientific papers for a number of local and international journals including PLOS One, International Journal of Health Sciences (Qassim University), Saudi Journal of Dental Research, Journal of Pakistan Dental Association. I am looking forward to adopt medical writing and editing as a career. I am very much interested in systematic reviews, meta-analysis, clinical trials, cluster randomized trials, biostatistics and health promotion projects. 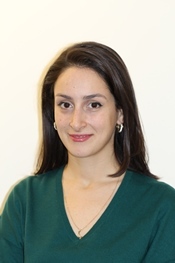 Dr Bugra Ozen is a pediatric dentist currently working as an assistant professor at ACTA Amsterdam. Between 2007-2009, he was the president of Turkish Conscious Sedation Association. 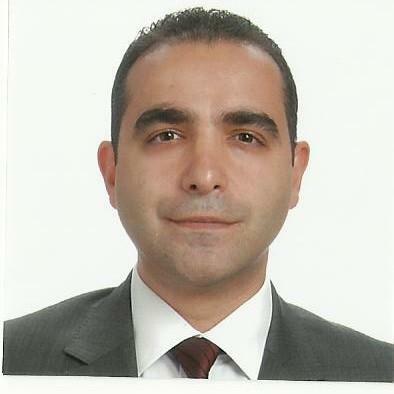 Also, 2005-2006 he was head of Pediatric Dentistry as an assistant professor at Karadeniz Technical University. He has authored more than 20 scientific articles in peer-reviewed international journals. He serves as an editorial board member and reviewer of several scientific journals. His clinical expertise is on pediatric dentistry and dental sedation. Research interest includes Dental sedation, early childhood caries, dental erosion. Kuan-Yu Chu is an attending physician of the Department of Dentistry at Taoyuan General Hospital. He currently serves as an Assistant Professor of the Department of Senior Citizen Service Management, Minghsin University of Science and Technology, Taiwan. 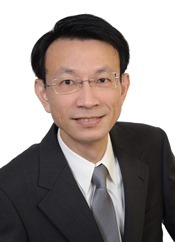 Since 1990, Dr. Chu has been responsible for the community dental clinic program in Taipei City and has served in a public hospital as an attending physician of dentistry. 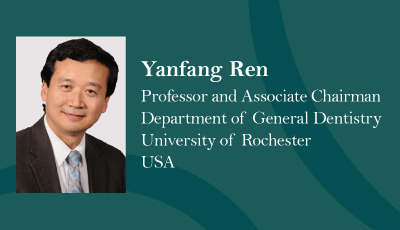 His educational background includes an MHA and a PhD in epidemiology from Young-Ming University in Taiwan. He has a DDS from the Chung-Shan Medical University in Taiwan and a graduate certificate in oral medicine from the Sichuan University in China. His research interests focus on improving the medical process and the epidemiology of oral health for patients with special needs. 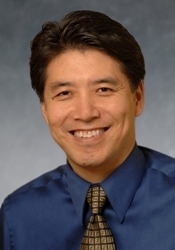 Dr. Chu is the co-author of the book Oral Health of People with Psychiatric Disorders (Virdi, MS, 2012), and he is presently a member of the Association for Dental Sciences of R.O.C. and the Taiwan Academy of Geriatric Dentistry. I am born in 1977 in Plovdiv, Bulgaria. In 2001 I received my degree- Magister of dental medicine in Faculty of Dental Medicine, Medical University Plovdiv with highest honors. After graduation I opened my private dental practice. In 2006 I finished my specialization Pedodontia. My professional interests are working with children and the area of periodontology. I participate in many national programs for profilaxis of children's dental health. In 2010 I started my PhD in the Medical University Plovdiv. In 2013 I received the degree PhD- Social medicine, organization of health care and pharmacy. Today I am a Chief Assistant Professor in the Department of Social Medicine and Public Health, Medical University Plovdiv. Research interest includes Relationship between quality of life and oral health The impact of oral health on general health, Epidemiology of chronic periodontitis, Quality of life, Halitosis, Modifying the children's behavior in the dental practice, Public health. I'm technically in Prosthodontics and I worked in the area for 10 years, I have a degree in Dental Technology in mode Prosthesis Maxillofacial the Methodist University of Sao Paulo (1989), I graduated in Dentistry, Methodist University of Sao Paulo (1995) and am specialist in Surgery and Maxillofacial Face the Methodist University of Sao Paulo (1998). I was a teacher of the Methodist University of Sao Paulo for over 11 years, I am Master of Dentistry, Faculty of Dentistry, University of Sao Paulo and Doctor of Dental Science FOUSP, owned and operated Private Practice technique since 1995. I have experience in dentistry, with emphasis in Oral Maxillofacial Trauma Surgery, Implants and dental emergency, acting on the following topics: general dentist, dental emergencies, bone grafts, prosthesis buco maxillo facial and cleft lip and palate.